Thanks to Sludge for the posts from last week, this week we’re a few hours late but hope you’ll enjoy this episode of Sidelines. Ultimate Canada releases a magazine periodically and issue #5 is out and presented in a digital format. The issue is fantastic and covers the Juniors, U23 at Worlds, Juniors at Worlds, some Nationals coverage, and also a great writeup on the Alexander Brothers who play for Phoenix. 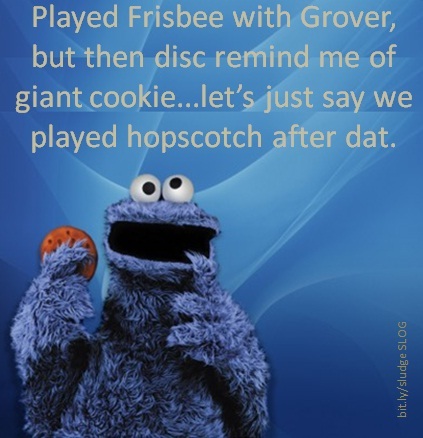 I was at USA Ultimate Club Championships last week (in case you didn’t know, that write up is still coming) and received an update from Brett (plays for Boneyard, finished 2nd in the Masters division). The donations continue to come in and if you want more information you can find it on the main website or on the Facebook page which was recently launched. The U23 win for Canada was important in continuing to place Canada’s mark on the World of Ultimate and also one that not many people, aside from those that attended, know much about. U23 Champion Mark Lloyd has posted a Write-Up which is an interesting read and worth checking out. If you know the man you know that he plays hard and that he drinks even harder (ask me about Paganello 2009). While he may grow and shrink with his diet programs one thing has remained constant: his flaming hat. Not so at USA Finals where it started roaming the countryside and when it will return nobody knows. Track the hat. Continuing with our short posts and USA Finals related topics: ESPN Page 2 article on the 60 teams at finals. I took a photo at the same time as Matt Lane but I’m not as good a photographer as he is (and I was talking to a player on the sideline…I’m more of an interviewer). “Ultimate” from Arlin Ladue on Vimeo. At Ultimate the other night a few first year kids asked me how to pull properly; I thought long and hard and then pointed them to this article. An interview by The UltiVerse with Roy, an Ultimate player who is on active duty in Afghanistan. This entry was posted in Canadian Ultimate, Interesting, Media, Sidelines, USA Ultimate by Tushar. Bookmark the permalink.